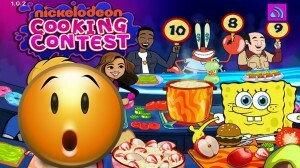 Spongebob games : Cooking Contest Game is one of the best and most fun cooking games on pogo games. In the game our two super hero girls are competing in a cooking contest. Please help the two girls to choose recipes, make and decorate both the cake is delicious and beautiful.